How does advertising work? Does it have to attract conscious attention in order to transmit a `Unique Selling Proposition'? Or does it insinuate emotional associations into the subconscious mind? Or is it just about being famous... or maybe something else? In Paul Feldwick's radical new view, all theories of how advertising works have their uses - and all are dangerous if they are taken too literally as the truth. 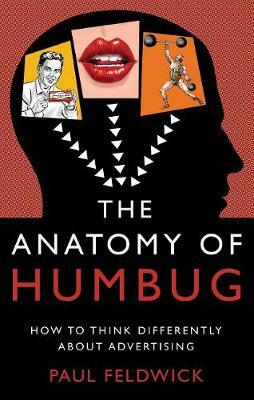 The Anatomy of Humbug deftly and entertainingly picks apart the historical roots of our common - and often contradictory - beliefs about advertising, in order to create space for a more flexible, creative and effective approach to this fascinating and complex field of human communication. Drawing on insights ranging from the nineteenth-century showman P.T. Barnum to the twentieth-century communications theorist Paul Watzlawick, as well as influential admen such as Bernbach, Reeves and Ogilvy, Feldwick argues that the advertising industry will only be able to deal with increasingly rapid change in the media landscape if it both understands its past and is able to criticise its most entrenched habits of thought. The Anatomy of Humbug is an accessible business book that will help advertising and marketing professionals create better campaigns.